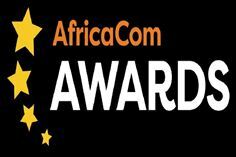 Cape Town, South Africa, November 15th, 2017 – Bwtech is happy to announce that NetChart, their E2E Network Optimization platform, has won the award of Outstanding Data Management / Analytics Solution at AfricaCom 2017. This is the third award Bwtech has received globally in the last 12 months and once more certifies the excellence of their Optimization platform, NetChart. NetChart, is a single user interface, cloud-based, multi-vendor and multi-technology, real-time, monitoring and optimisation system. NetChart addresses the challenge of dealing with modern and hugely complex mobile networks that generate vast and diverse volumes of data, providing advanced network analytics and correlation of various network data sources, such as counters, parameters, inventory, alarms, CDRs, traces and drive test with each other. NetChart finally provides current and prospective customers the possibility of having one view of their entire network, by incorporating all the domains (RAN, Core and Backhaul), all the technologies (2G/3G/4G/IoT) and multiple vendors (more than 20 vendors supported). This allows a significant simplification as multiple legacy platform have been unified into one, improving efficiency and productivity of the engineering teams, while reducing costs. Bwtech is an innovative provider of end-to-end performance optimisation solutions for Fixed and Mobile Operators, Managed Service Providers, Telecom Regulators and MVNE/Os. More than 20 Telecommunication Providers in over 15 different Countries trust Bwtech solutions for mission critical activities, such as real time Network Monitoring, Network Quality reporting, NOC and SOC operations, Capacity Planning and E2E Network Optimization.